If romaine lettuce recalls make you nervous–take charge! 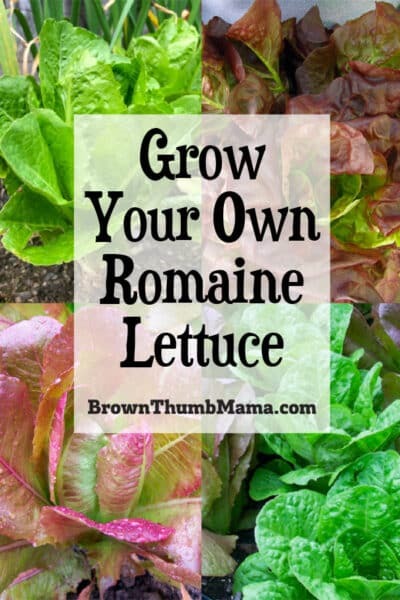 You can grow your own romaine lettuce for crisp, fresh, delicious salads. 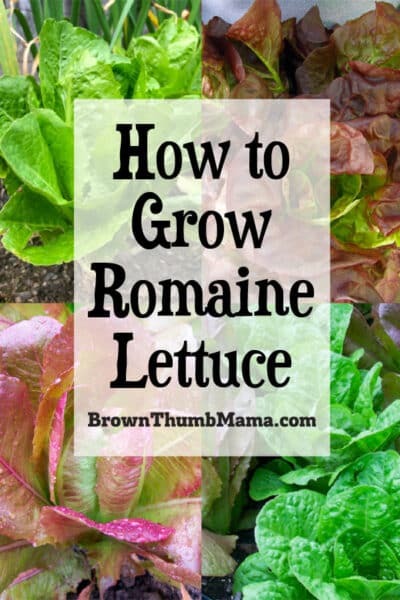 Here’s everything you need to know to grow romaine lettuce in your garden. Here in California, there have been one too many romaine lettuce recalls for my liking. 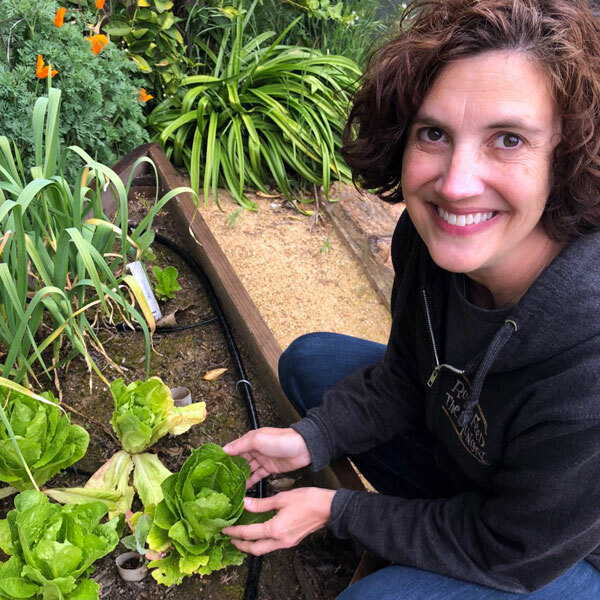 Since we have a salad with dinner several times a week, we go through a lot of romaine lettuce–and I don’t want to take a chance with my family’s health. Just like with alfalfa sprouts, I figured it would be best to grow my own organic romaine lettuce. Thankfully, it’s not hard to grow at all. 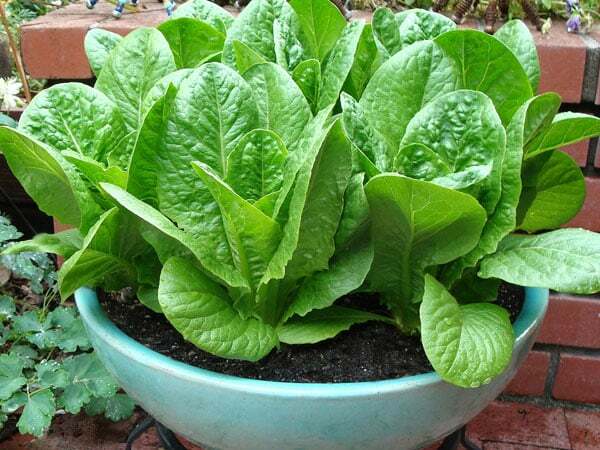 You can even grow romaine lettuce in pots or containers if you don’t have a lot of space! This is the fun of browsing heirloom seed catalogs and websites. 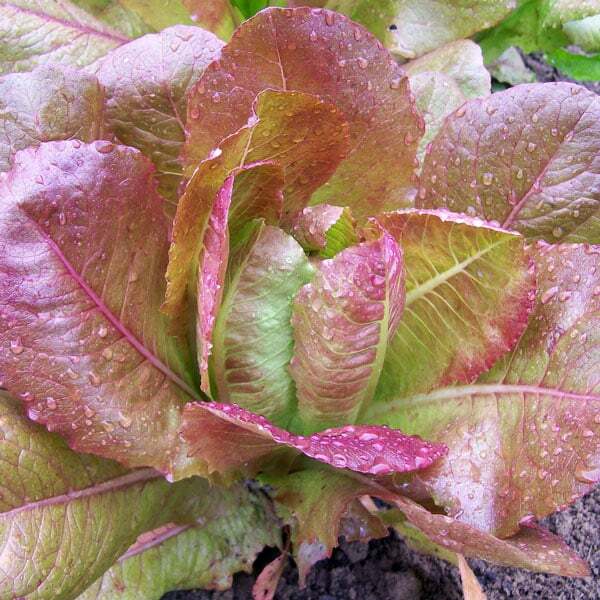 Did you know there are romaine lettuces with reddish and speckled leaves? Here are just a few of my favorite romaine lettuce varieties. 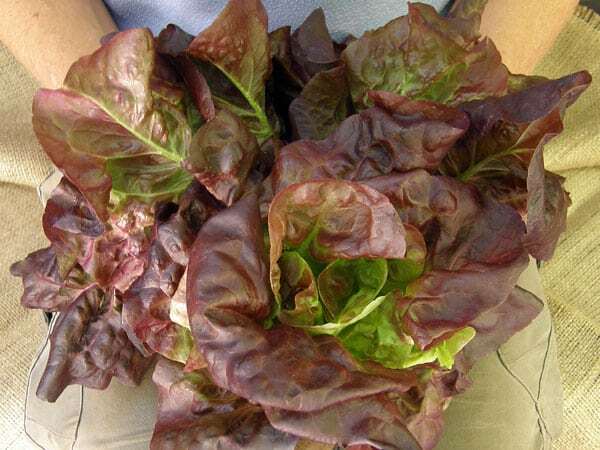 This combination of Noga and Cimarron lettuces is easy to grow and has beautiful contrast in the garden. You can harvest the leaves when they’re small, or allow them to grow into full, dense heads. 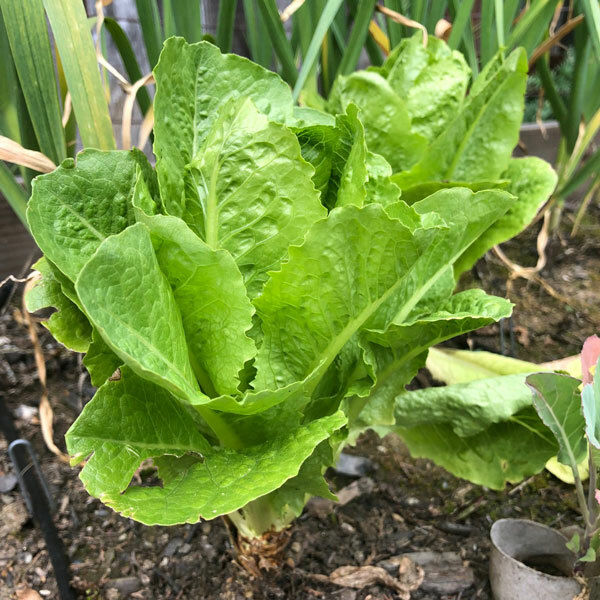 Named after Parris Island in South Carolina, Parris Island Cos lettuce has crunchy, sweet leaves and a buttery-green heart. 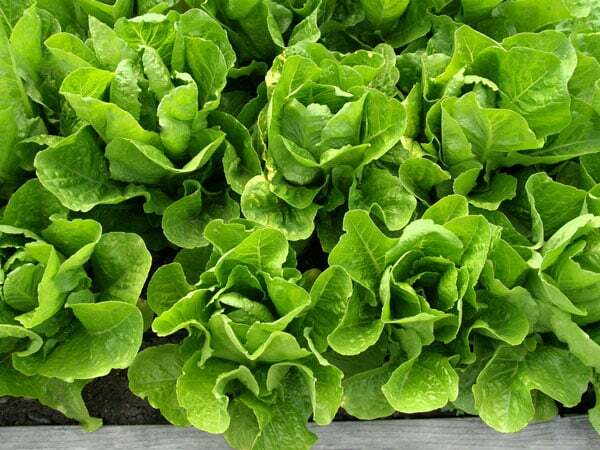 It grows vigorously with 10-12 inch heads that are ideal for lettuce wraps. Plants resist tipburn and are mosaic virus tolerant. This is what I’m growing in my garden! What a beauty! Rouge d’Hiver is a French heirloom lettuce from the 1800s. It produces compact, 12″ tall heads with a tender green heart surrounded by bronze-red leaves. The name fittingly translates to “Red Winter”, as Rouge d’Hiver is cold tolerant and resists tip burn. Sweetie Baby is a variety of baby romaine bred to be compact, juicy, and delicious. The pretty green leaves grow in perfect 6 to 8 inch tall vase-shaped heads that are heavy for their size with a wonderful sweet flavor and crisp, crunchy texture. In the garden, Sweetie Baby lettuce is long-lasting, slow to bolt and heat tolerant. It’s perfect for growing in containers or small space gardens. Jericho Heirloom Romaine was bred for desert heat and thrives in hot summers. The tall, heavy heads retain their sweetness even when other lettuces have gone bitter. Jericho resists tip burn and mosaic virus. Eye-catching Ruby Gem offers plump, heavy rosettes about 6 inches tall. The vigorous seedlings grow rapidly into perfectly formed, beautiful little heads with ice green hearts and ruby red tops. Leaves have crisp, juicy texture and marvelous flavor. Slice a pretty head of Ruby Gem in half to plate up a great salad–just add dressing! Unlike most of the vegetables in your garden, romaine lettuce likes some afternoon shade. Whether you’re planting seeds or seedlings, choose a spot that has morning and early afternoon sun. 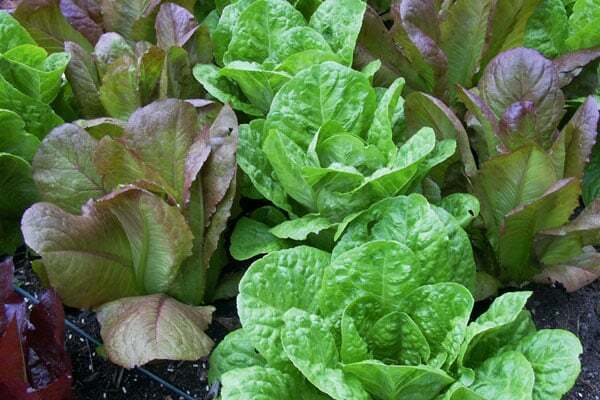 Lettuce also needs lots of water–be sure to water frequently if you’re planting lettuce in containers. Because lettuce needs a bit of extra nitrogen, I like to add a bit of EB Stone Organic Plant Food to give my seedlings some TLC. Lettuce seeds are TINY! See that little speck next to the zucchini seed? 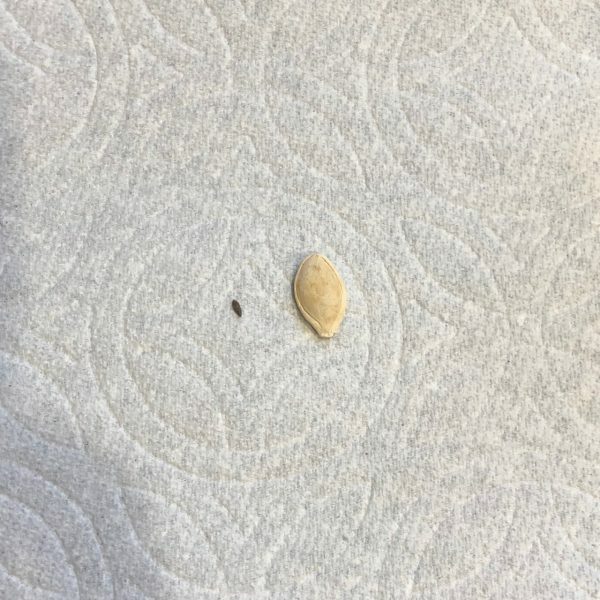 That’s a lettuce seed. Because the seeds are so small, it’s easier to make homemade seed tape and plant that in the garden. Then I’m not trying to keep track of brown seeds in the brown soil…ugh! Lettuce is a cool-weather crop, so plant in early spring and early fall. Space your seeds or seedlings about 1 foot apart and ¼” deep. Keep the soil moist and watch for garden pests. I like to plant a new crop of romaine lettuce every few weeks so there’s always some ready to harvest. We aren’t the only creatures that think lettuce is yummy! Rabbits, deer, snails/slugs, and aphids all like to munch on lettuce. Use these handy floating row covers to keep the furry critters away, and deploy organic methods to get rid of snails/slugs and aphids. Here are my top 8 tips for getting rid of aphids without chemical sprays. What’s companion planting? Well, just like people, some plants work better together than others. 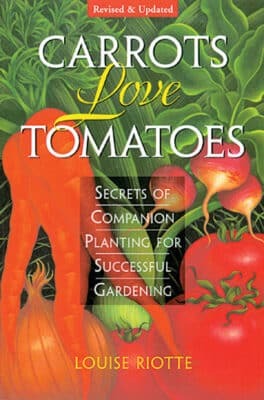 I learned this from Carrots Love Tomatoes: Secrets of Companion Planting for Successful Gardening, which is a must-read for vegetable gardeners. A great companion plant for lettuce is a trellised vegetable like cucumbers. The cukes will grow up the trellis and give the lettuce some afternoon shade. 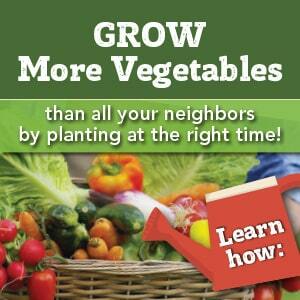 Plus you’re planting two crops in one space, which is a big win. You can harvest the outside leaves as needed, or you can harvest the entire head. Romaine lettuce is typically ready to harvest 60 days after planting. Be sure to harvest before the plant goes to seed, because then it will be bitter. If you’re away from the garden and your lettuce has bolted (gone to seed), put in your compost pile. Romaine lettuce is great on burgers, tacos, and in salads. I especially like it with Orange Balsamic Vinaigrette dressing. Love to garden? Subscribe to my weekly newsletter! Lettuce photos (except for Parris Island Cos) courtesy of Renee’s Garden.